Danielle loves Disney so we tastefully managed to combine a little bit into her’s and Liam’s beautiful wedding at Eaves Hall. The tables were named after Disney characters and on the top table I suggested we used some glass domes with a rose inside to represent Beauty and The Beast. 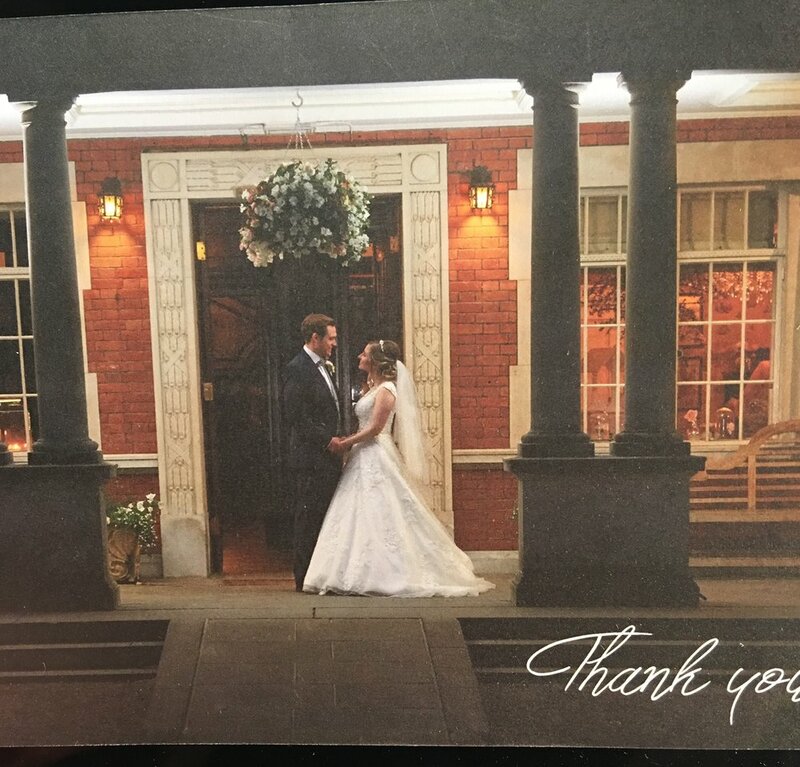 The lovely thank you card I received from the happy couple.